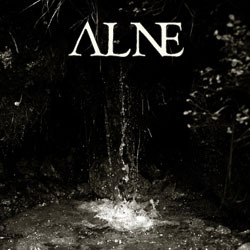 Polish experimental acoustic “folk metal” band Alne has finished working on their second album, which will consist of 9 songs, including the cover version of “A Mask in the Mirror” by Ved Buens Ende. As with their debut album, this time the themes of the lyrics are inspired by the primeval spirituality of the land Alne comes from. Three texts were prepared by Alne, but the rest of the lyrics were written by contemporary “pagan” poets Wojciech Mytnik and Piołun… Their new album takes on unique sound thanks to Agnieszka and her cello. Bartek Rogalewicz is preparing the graphic design. The album was recorded at Bat Studio, Olsztyn, mixed by Michał Baginski and mastered by Nihil at Czyściec Studio. You can listen now to three of the nine songs at Alne’s official Bandcamp page, as a promo teaser of the upcoming album, since they are currently looking for a label. I hope they sign soon, since their music has a unique beauty and quality!